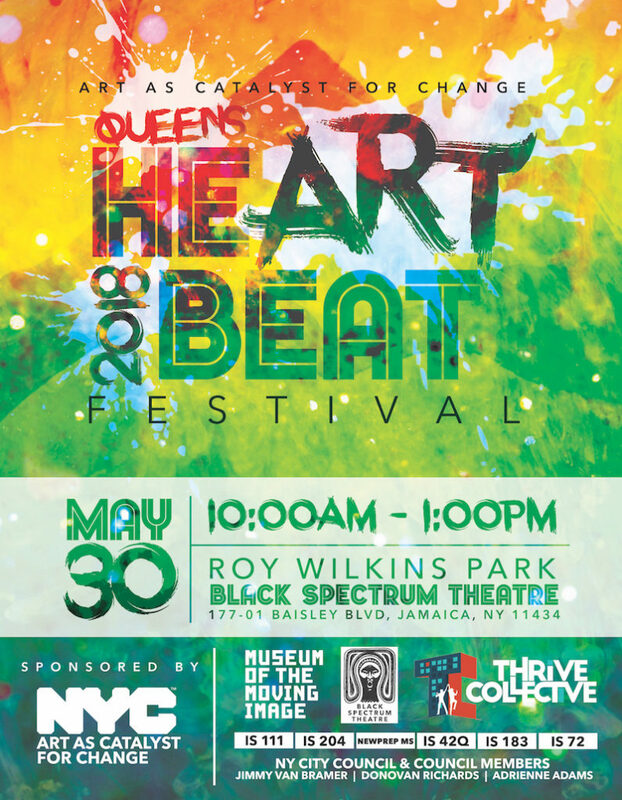 Up to six hundred students from six Queens middle schools will converge at Roy Wilkins Park for the 2018 Queens HeART Beat Festival on May 30 from 10am – 1pm. 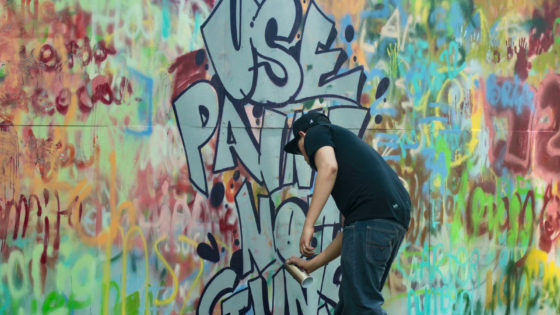 Join us to provide an interactive, arts-based field day experience celebrating the completion of the Art as Catalyst for Change anti-gun violence initiative. 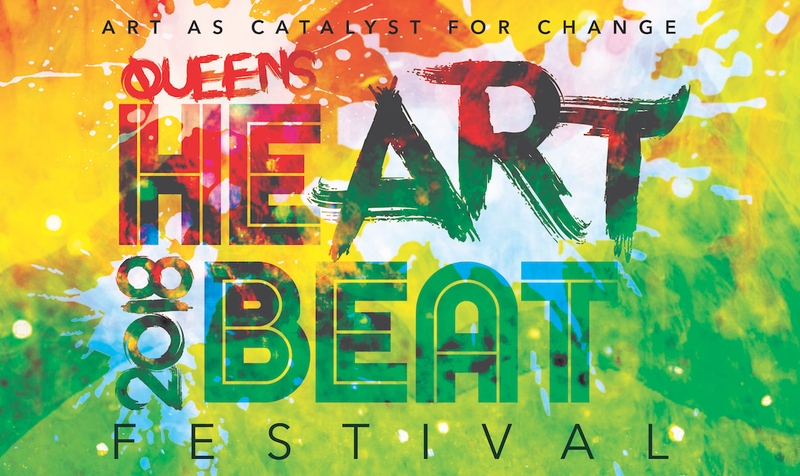 Sponsored by the NYC Council, in partnership with the NYC Department of Cultural Affairs, thanks to the visionary support from Speaker Corey Johnson, Majority Leader Laurie Cumbo, and Queens Council Members Donovan Rchards, Jimmy Van Bramer, and Adrienne Adams. 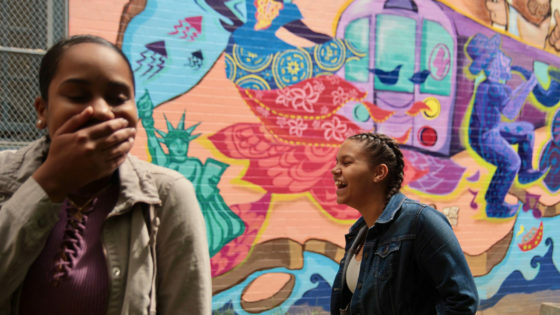 Special thanks to collaborating arts organizations Black Spectrum Theatre, Museum of the Moving Image, Everybody Dance Now, and neighborhood congregations. Sign up here.